For those of you who have been waiting for Venture Kid since it was first announced for Switch back in April 2018, on Twitter publisher FDG Entertainment has revealed the wait is almost over for this console exclusive. Take a trip down memory lane! 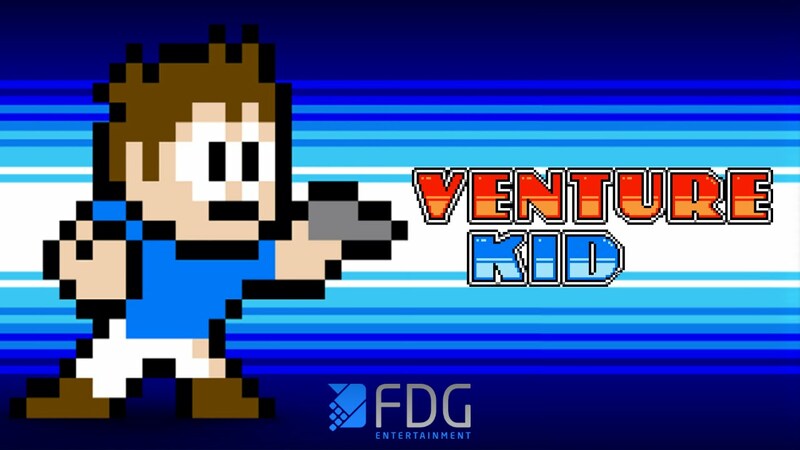 Venture Kid – a 8-bit retro action platformer that goes beyond just pixels and chiptunes It shines with excellent level design, highly entertaining action levels, responsive controls and a great variety of bosses. Your Mission: The evil Dr. Teklov is about to build a secret weapon, disguised in his huge space fortress. Time is running out but our hero Andy stepped up to defeat him and fight his way through Teklovs minions. Join Andy and prepare yourself for a dangerous journey that demands great skill and determination. 8 unique and useful Power-Ups to help you on your quest.